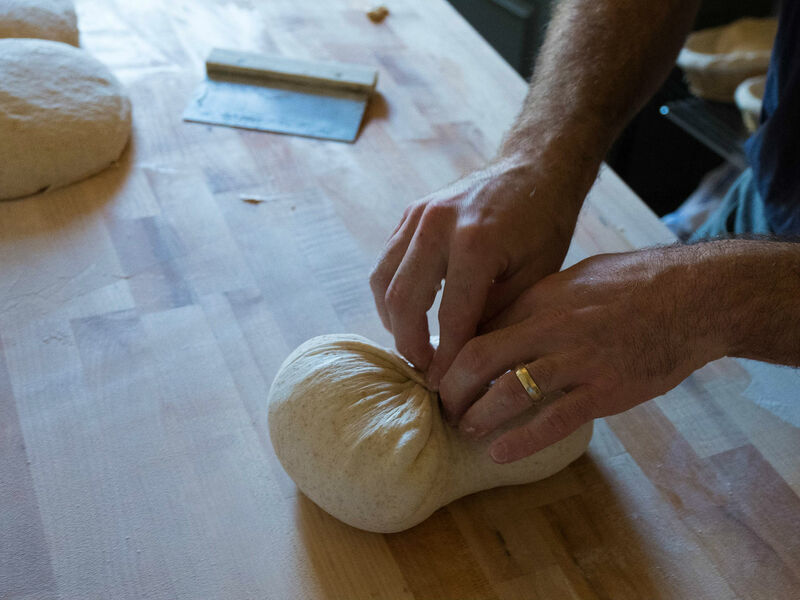 Christopher Beattie shapes sourdough loaves prior to baking them in his Sacramento home. He’s done it numerous times, but the owner of Faria Bakery in Sacramento still has a passion for slicing into fresh sourdough. “When you take that bread knife to the loaf the first time — and it’s kind of like shattering as you cut through the crust, and there’s just crust exploding and going all over the place and it makes this mess — yeah, it’s a beautiful thing,” Beattie says. The sourdough bakery scene in Sacramento has long lived in the shadow of San Francisco’s world-famous breads. But scenes change, as our region has witnessed recently with craft beer, and a handful of bakers are now pushing the area's bread culture to new limits. On a recent morning, Beattie sits in his kitchen stretching and folding dough in large plastic tubs. He moved to town from San Francisco, where artisan sourdough bakers are everywhere. So, Beattie thought, why not him? California’s 2013 cottage foods law opened the door and allowed Beattie to make bread at home and sell it to the public. Baker Chris Beattie explains the best way to cut and store a sourdough loaf. Now, during the summer, stop by the Oak Park farmers market and you’ll find Davy Bui selling his bread — but you better get there early. “I usually sell out. I mean, there’s definitely a demand in Sacramento,” said Bui, who owns The Drunken Loaf. Not that long ago, Bui says he had to travel out of the area to get quality sourdough bread, which frustrated him. “I’ve grown up in Sacramento all my life, so Sacramento being on like the short end of the cool stick is a very common theme to me,” he said. “But, you know, Sacramento’s always kind of made its own scene, too,” he added. These bakers offer an inimitable bread: a crunchy crust and tangy interior, plus some evidence that it’s easier to digest and better for you, too. But as they have pointed out, finding real sourdough in Sacramento can be tough — although a few places have been doing it for decades. Grateful Bread has been in town since 1990, and recently changed hands, entering a new era. 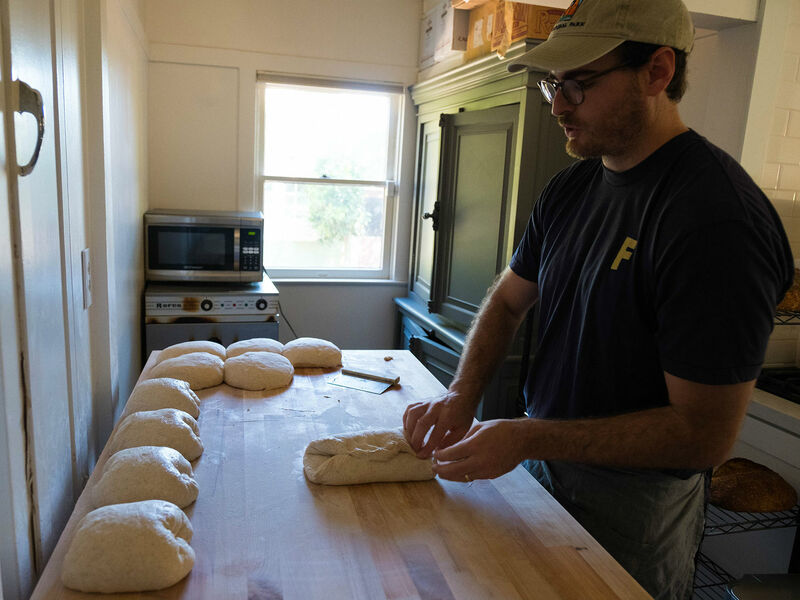 General manager Misty Greene agreed that the city’s bread culture is evolving, and as a result, they’re rethinking how the bakery may grow along with it. It’s not easy, though. You can’t create sourdough quickly; it takes time. Greene says technology now gives bakeries precise climate control, which allows bakers to mimic San Francisco’s mild year-round temperatures and the cultures the necessary window of time needed to perform their leavening magic. Because it takes a day or two to create a loaf of true sourdough, the breads tend to be more expensive. Add to that artisan ingredients and organic whole-grain flours, and the price rises even further. Greene wonders if Sacramento is ready to swallow a $8 loaf of bread. She added that higher-priced loaves are an option at Greatful Bread, but it’ll take some education for consumers first. But the price point doesn’t seem to matter for Midtown farmers market customer Pei Lee. She hits it each Saturday, specifically for Takeaway bakery. Kenneth Curran owns Takeaway and says the price issue comes up with potential customers, but die-hards understand the value. And they’re also getting more bread: his dough weighs two pounds. 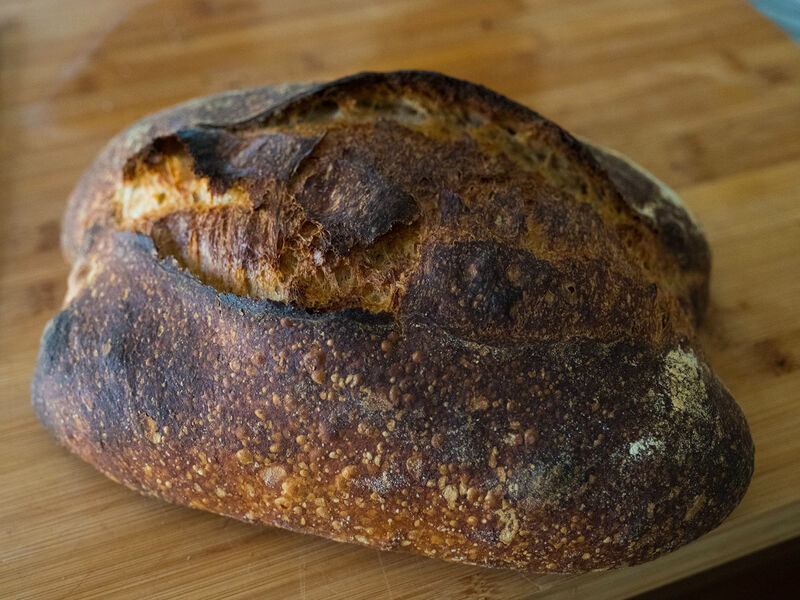 It remains to be seen whether Sacramento will embrace $8 loaves of sourdough at a level that could sustain a full-blown industry, the way craft beer has flourished in the city. For now, fans will have to get our fix mostly at farmers markets.